Recently I find myself contemplating communication and how we show others we love them. I don’t just mean romantic love, though that’s always important. We love a lot of people in our lives: parents, siblings, children, significant others, neighbors, co-workers, friends. The question is, are we truly showing them how deeply we care? Sometimes we rush to say “I love you” without really thinking about what those words mean. We should say them, share those feelings, because life is far too short and too precious sometimes. However, they are not merely words to say, we need to mean them and prove we mean them. Almost twenty years ago, I read “The Five Love Languages” by Dr. Gary Chapman. It’s a fantastic read and I recommend it. I should consider reading it again as I enter a completely new phase in my life. I don’t know if my personal language changed over the years, adapting to my needs as my life moved me in a path I did not expect or if I’ve simply forgotten what my own personal language is – however a review is always good. 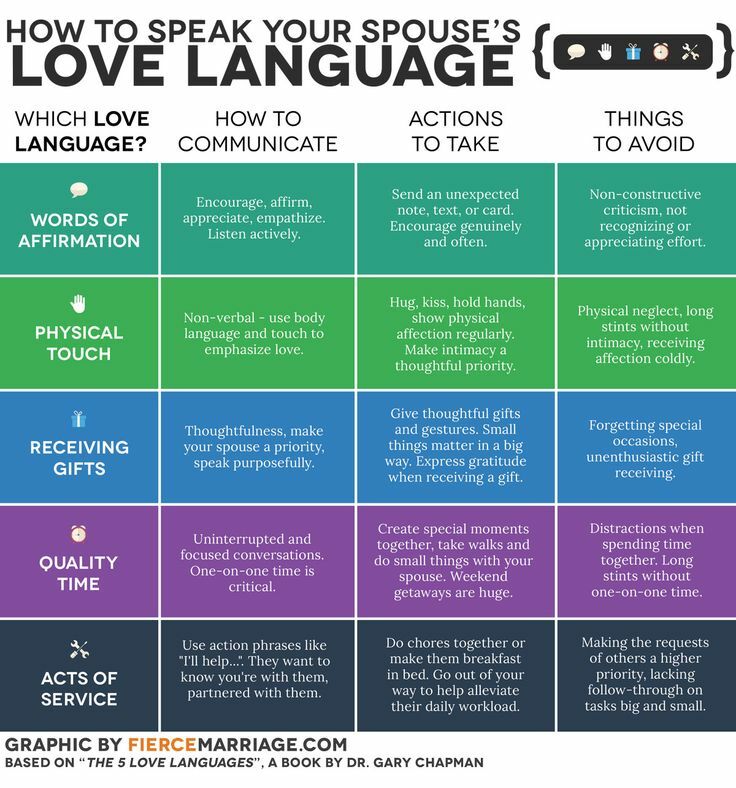 On Pinterest I saw the greatest graphic geared toward spouses, however I think it could easily prove adaptable for anyone. See how easily that could adapt for others? 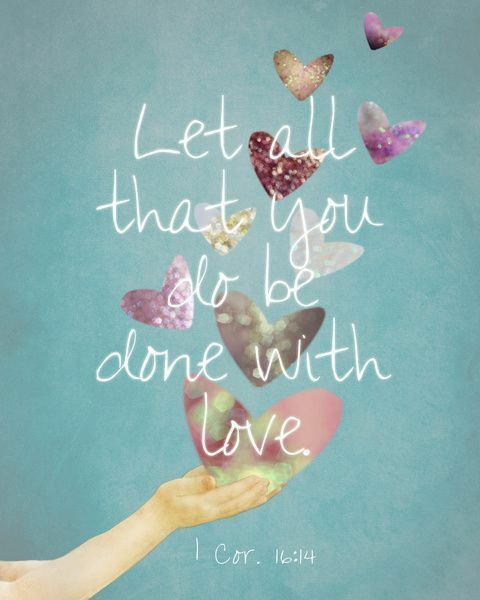 “1 Corinthians 16:14 – Let all that you do be done with love.” I couldn’t say it better myself. Let’s move forward, seeking to better understand those in the world around us. Let us find ways to love one another in our own way, but speaking to them in theirs.